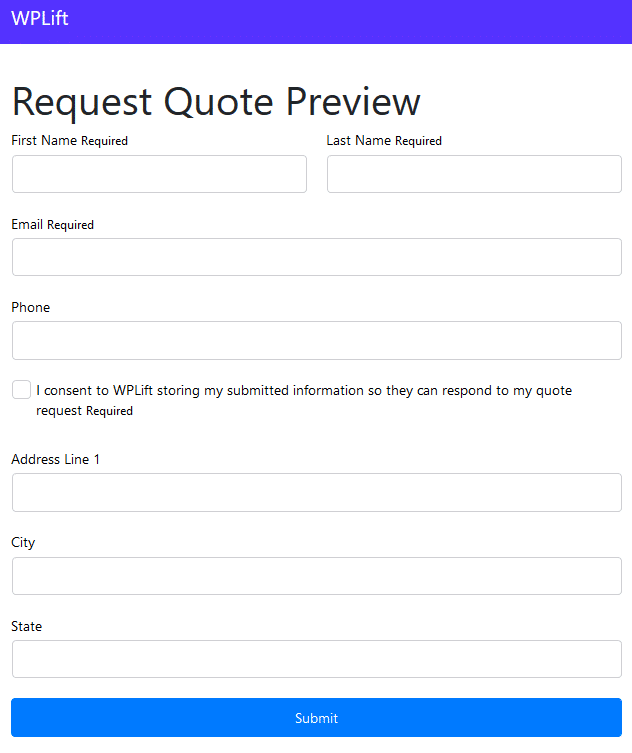 WS Form PRO WordPress form builder plugin has just recently entered the market, so we assume you might be skeptical about another WordPress contact form plugin. Let us remind you, wasn’t it the same feeling when Elementor page builder had started to pop up here and there in the saturated niche of the time-proven builder plugins? And if you remember, it didn’t take long to celebrate Elementor as a top choice of thousands of WordPress users (for a good reason). The moral of the story… It’s never too late to launch a quality product. So in this review, we’ll try to help you decide whether WS Form PRO can be a suitable solution for your next project. Let’s highlight some essentials first. The plugin has a deep understanding of how to deal with simple and complex WordPress forms by offering tons of field types and advanced conditional logic rules. 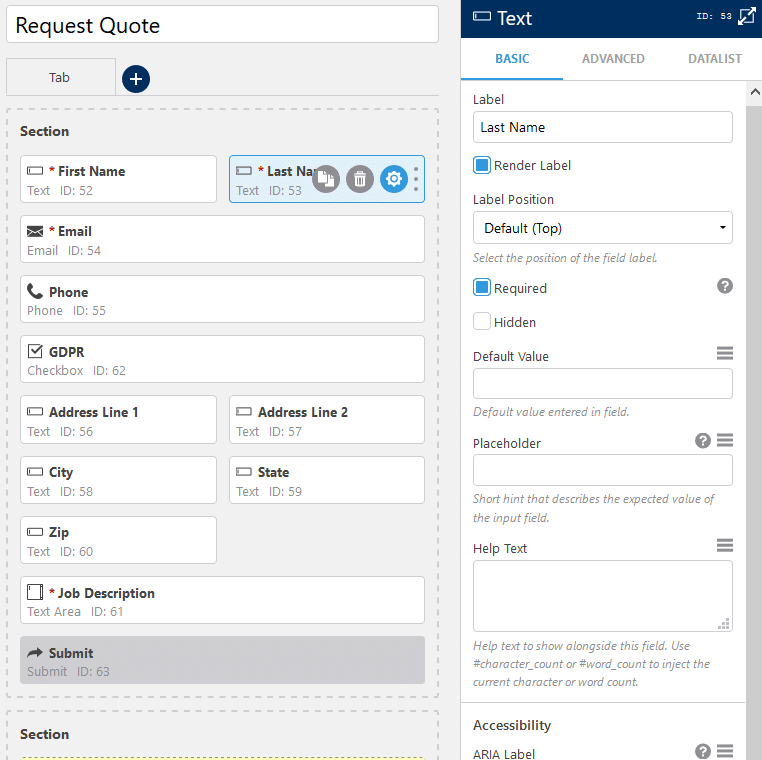 Furthermore, it allows you to build fully responsive forms, is ready for WordPress 5.0 (Gutenberg) era and, its focal point offers impressive tools for developers. Although the plugin is positioning itself as a developer-focused WordPress form builder, we are sure its audience is wider. This list can be long, so let’s jump to details right away. To give you a clear idea of what the customization will look like, you can consider WS Form PRO as a “WordPress page builder” for forms. It’s going to provide you with the same handy drag-and-drop visual form building experience. To start creating a form, you can either go with a ready-to-use form template (“Request a quote”, “Request an appointment”, “Donation”, “Gift card order”, etc.) or build one from scratch. More templates are available if you use install add-ons such as MailChimp, Constant Contact or Slack. 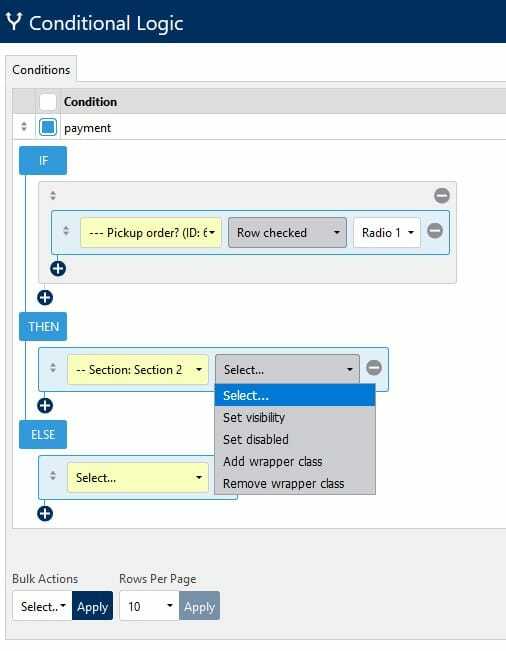 Thanks to the hierarchical and flexible form structure that may include tabs (individual pages/containers), sections and fields, manipulating the objects becomes pretty intuitive; you never have to guess how to arrange them properly. Of course, you can visually restructure the sections and fields maintaining the order for the draggable form elements. Just drag them and watch everything snap into place. Fields can be dragged between tabs and sections; sections can be dragged between tabs – as you see, it’s flexible. The fields and sections are resizable, so you may drag their borders to change their size, thus, even build a multi-column form (which is great news since you can adjust it to any WordPress theme). What we liked about this plugin is that you have almost no chances to spoil the visual consistency since a helping background grid is visible when the fields are resized. That means you can shape your forms in any way without tech help – without affecting the visual side. For really long, complicated forms you can create several tabs (a multi-page form) that will help reduce stress and increase a feeling of accomplishment for users. You can also apply conditional logic on the tabs level to make your forms even more user-friendly. Furthermore, each field, section, and tab offers extra settings to customize their look and behavior. For example, the vast majority of fields allow you to add placeholders, pre-populate fields with default values, customize a label position, add helper texts, optionally apply custom styles and many more options. 30+ field types, including highly demanded ‘file upload’, ‘rating’, ‘reCAPTCHA’, ‘progress bar’, ‘signature’ and many more to build any type of form you could think of. And what makes WS Form PRO different from other premium WordPress form builder plugins at this aspect, is that all advanced field types (e.g. ‘signature’) are bundled for free. First, that means you are not forced to pay exorbitant prices for any extra field type you might need. Second, the forms you create are more lightweight since WordPress doesn’t need to load extra plugins. You can clone fields, sections or tabs with custom settings to speed up your workflow. In addition to undo/redo buttons, there is a handy “Undo” tab, which logs all your actions and lets you revert the form to any previous version in a click (we can ensure you that some WordPress contact form plugins still lack this essential feature). By hovering over each point in history, you can even see the appropriate form version in real time. Breakpoint selector is a sort of built-in device emulator, which lets you see how your form looks across different viewport widths (the form is automatically adjustable to any screen size). Each breakpoint can have its layout. So, for example, on mobile, you could use full-width fields, and on higher screen resolutions you could introduce columns. You can preview how your form will look on the live website before publishing it. Even with tons of settings and options that give you control over each form element, the overall user interface of the WS Form PRO plugin communicates clarity and simplicity; you’ll get used to it literally in minutes. The plugin allows to designate any conditional logic rules you could think of to build up interaction based on the user preferences (basically, show or hide the form fields based on the previous choices). 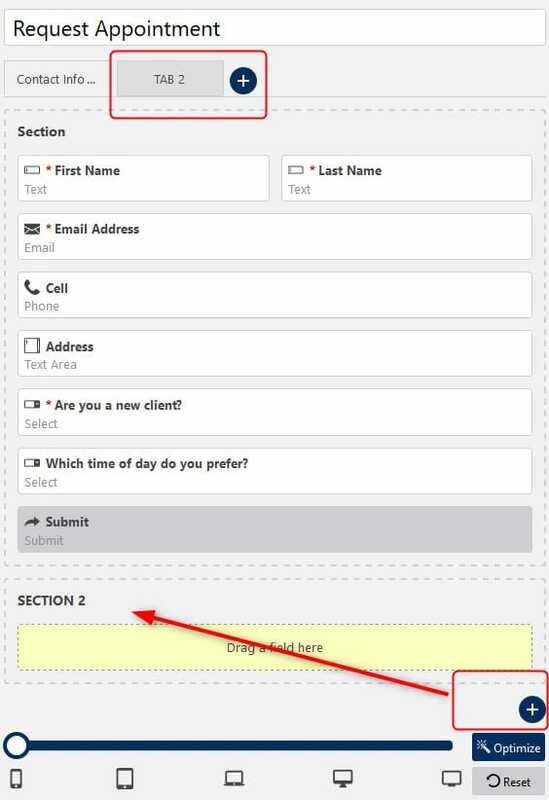 This is a perfect way to make your forms dynamic, neat, and optimized for every user individually. The system of rules is pretty common across similar plugins. WS Form PRO is bundled with robust flexibility to cover any scenario (including advanced procedural forms, such as insurance claims, registration forms, surveys or the like). Unlimited conditional logic rules can be applied to individual fields, sections, or tabs (for applicable statements). A half-automated process of assigning the rules to specific fields. The system can combine and and or expressions to create a complex system of conditional rules. else statements are created automatically if certain rules are met. Conditional logic to enable / disable certain form submission actions (notifications, progress bar, email sending) and more. It’s worth mentioning that some plugins sell this alone feature as an extra extension, while with WS Form PRO it’s built right into the base plugin, with no extra cost. Data export and erasure requests for GDPR purposes (to allow users to request their data from your database), and more. Seamless integration with popular services such as MailChimp, Constant Contact, Slack and Zapier. 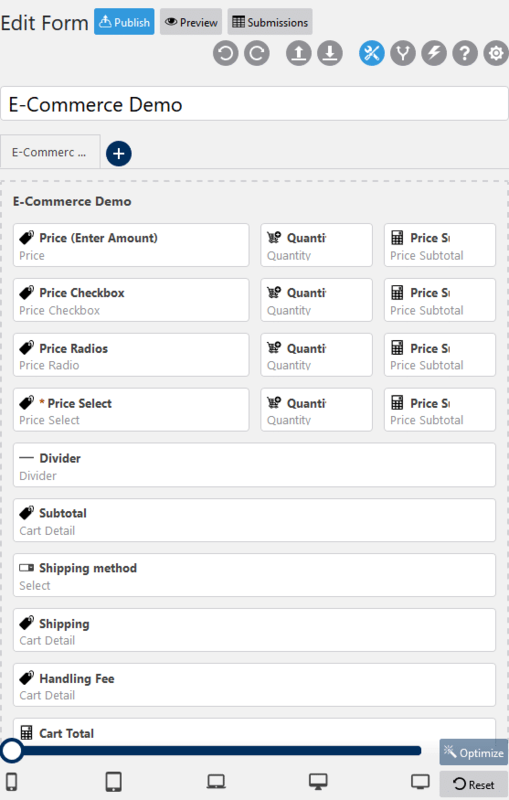 All sorts of goal-directed field types (price, price select, price checkbox, price radio, price range, quantity, cart detail, etc.). Several thought-out templates for e-commerce purposes. An ability to wire up popular payment gateways, such as Stripe, PayPal and Authorize.Net through paid add-ons (which are free within the Agency plan). You can create unlimited forms and publish them on different pages, posts, or simply add them to the available widget zone of your WordPress theme. It’s easy to add the needed form with a shortcode via the Classic editor or by using a shortcode block in Gutenberg (where you’ll just need to choose the needed form from the drop-down menu). All form submissions are stored under a separate menu, where you can sort all of them by individual forms and view details of each submission in a handy sidebar menu, without a need to open it as a regular WordPress post. You can also edit, delete and export all or individual submissions. Since the plugin allows you to view action details on each submission, you can identify potential bugs and redo the action (e.g., resend an email). 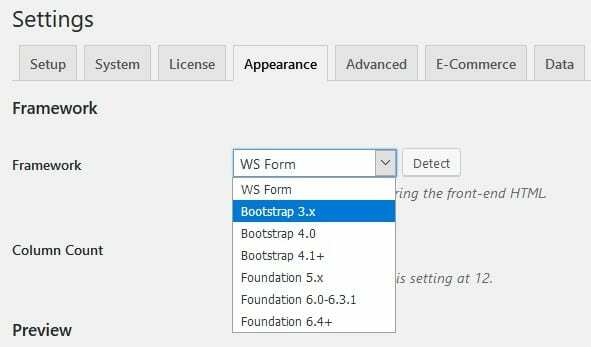 WS Form PRO can automatically check your theme for major frameworks you might use (Bootstrap, Foundation) to natively integrate with your HTML and help you avoid the fuss of custom stylization. In simple words, this plugin performs a unique task helping you get your forms easily adapted to your theme look, without a need to tweak the styles manually (however, developers can still add their wrapper and classes). This feature is going to save a considerable amount of time for users as well as developers who build client websites. A built-in debug console that helps test the forms in minutes on the frontend, including server-side issues debugging. You can save so much time by populating forms automatically with test data and submitting them in clicks. It’s also possible to test the forms using different variations of data. If you identify anything that requires fixing, you can jump from the debug console right to the form editing screen and apply the needed changes. Automatic check for native support of HTML5 input types with browsers and outputting of alternative components for unsupported types. For better performance, form submissions are isolated from the rest of the standard WordPress tables. The plugin perfectly deals with render-blocking code. Since version 3.1, you can migrate your forms and submissions from Gravity Forms and Visual Form Builder Pro to WS Form PRO in a single click. Compared to other powerful contact form WordPress plugins, WS Form PRO is pretty generous – you can get a one-website license for just $40. The enterprise-level suite for unlimited domains, which is bundled with as much as all premium add-ons, will cost you $250. As for add-ons, there are different helpful tools for connecting your favorite email marketing automation services (MailChimp, GetResponse, AWeber, etc. ), hooking up payment gateways, enabling PDF creator, setting up user management tools and others. So far, none of them is more expensive than $20. If you are looking for just basic features, you may go with a free plugin version. However, if you want to test the waters with all PRO tools, we believe it’s more efficient to register a risk-free dashboard demo with this plugin. Should you need help, you’ll always have a clear and detailed knowledgebase at hand. Even though this was quite a wordy review, it’s just a bird’s-eye view of what this WordPress form builder plugin is capable of. The flexibility and feature toolkit of WS Form PRO is nearly unbeatable, which provides endless opportunities for creating complex and simple forms of all types. The ideal functionality for WordPress users of all calibers: a straightforward drag-and-drop layout editor with self-explanatory tools for non-technical users, plus unique instruments for developers. Frictionless integration with native theme frameworks. The plugin is lightweight and performance-oriented, which is perfect for both small businesses and enterprise-grade needs. Last but not least, the plugin is very affordable compared to other popular solutions (especially the Agency bundle for developers). We believe these different dimensions make WS Form PRO quite a solid alternative to the best WordPress form builder plugins. So do you think it can meet your needs? Would you add it to your list of benchmark WordPress form builder plugins? We’d be happy to hear your thoughts. Seems like there’s so many forms plugin out there! Looks like a great product, but ridiculously expensive. The price of the add-ons just adds insult to injury. I’m using FormGet and am quite happy with it. Thanks for your feedback, Frank. You may be grandfathered into a free plan with FormGet, but having reviewed their pricing page for a comparable product I believe WS Form PRO is in fact less expensive after their 7 day free trial expires. WS Form PRO is $40 per year for unlimited forms, unlimited form views and unlimited submissions. There is also a completely FREE version in the WordPress plugin directory. Compared to other WordPress form plugins WS Form PRO represents great value for money. The add-ons are for integrating to a specific system such as MailChimp or Constant Contact hence they are à la carte and are $20 per year. FormGet starter is $70 per year for 1 form and limited form views and limited form submissions. For unlimited submissions their product costs $990 per year (per their annual discount pricing page). 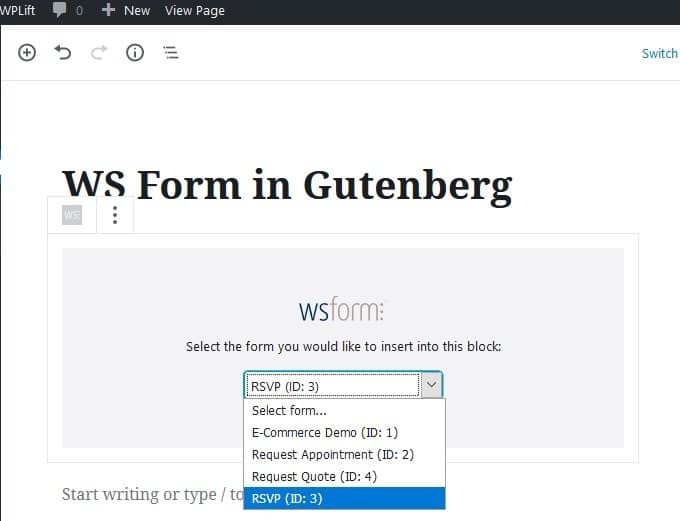 WS Form PRO is also a dedicated WordPress plugin, therefore you can see your submissions in the WordPress admin as well as integrating your forms with your theme with actions and filters.